Self-Published Millionaire is a step-by-step breakdown of Joseph’s unbelievably effective writing and publishing process, and teaches you hundreds of skills, techniques, and secrets you can use to leverage your success on Amazon KDP, iBooks, Kobo, and beyond....You’ll master every stage of the writing process, from planning and writing, to publishing and marketing, to email automation and outsourcing. Every chapter is jam-packed meaningful insights that will help you dominate your writing niche. 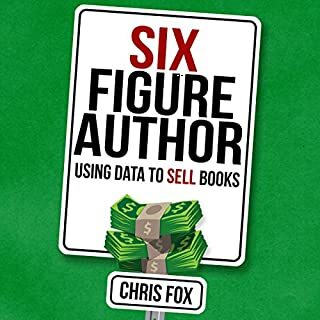 Do you want to sell more books and reach more readers? Do you want to discover how to build an author career for the long-term as well as spike your book sales right now? If you don't know much about marketing, don't worry. We all start with nothing. 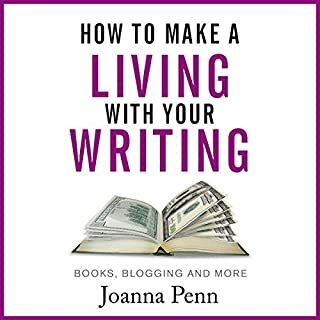 I'm Joanna Penn, and back in 2008, I had no book sales, no audience, no website, no social media, no podcast, no email list. No nothing. Now I'm a New York Times and USA Today best-selling author of thrillers and non-fiction. My books have sold over 500,000 copies in 83 countries, and I'm an award-winning creative entrepreneur and international speaker, making a multi-six-figure income with my writing. 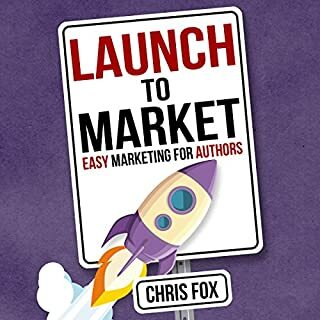 How to Market a Book is for authors who want to sell more books, but it's also for those writers who want to think like an entrepreneur and build a long-term income. It's for traditionally published authors who want to take control of their future, and for self-published authors who want to jump-start a career. It's also about going beyond just the book, because these methods can take you from being an author into making money from other products, professional speaking, and creating opportunities that you can't even imagine yet. What did you love best about How to Market a Book: Third Edition? The book was nicely action-oriented. What does Caroline Holroyd bring to the story that you wouldn’t experience if you just read the book? Her narration made the book more exciting! Yes, though I plan to go through it again, and take action on many of the steps if possible. The book was a good length. It was like a complete course. 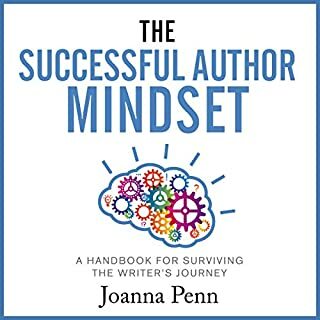 Joanna Penn has become my go to author for all things indie publishing. How to Market a Book is stocked with invaluable marketing tips—from small to large steps. Combine this book with Ms. Penn’s podcast and you’ll have all you need to become an author entrepreneur. HIGHLY recommended! 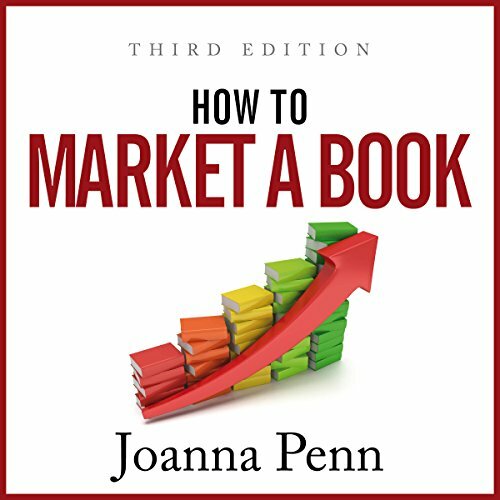 Joanna Penn presents a brilliant distilled version of her experience in covering how to market books. She explicitly calls out that if you try to do everything that you'll end up burning out. The key here, as she explains, is to experiment and see what works for you, your genre, and your readers. One step that she really emphasizes, which I hope all new authors pay attention to, is the need for a mailing list. Very informative, helpful and motivating! This filled in a lot of the blanks I had and has pushed me to the next step to publishing my book. The tips and advice offers here make for a great and highly accessible audio book. It’s long enough to get the main points across but short enough to maintain your interest. I am writing my second book now and will come back to this book again for a refresh before I launch. Thanks for writing this, Joanna! Top notch advice from an experienced author. Great book, great author, plesant voice to listen to. An expert in her field. 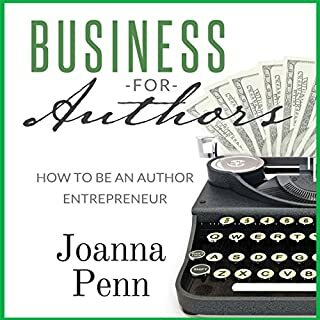 I will continue to look for great book selling advice from Joanna Penn. Thanks Joanna! Derek Shawn "new kindle author"
If this is the very first book you're ever buying about book marketing, then it's the best book you can buy. If you've already advanced into Chris Fox, for example, then this is to basic for you. If you ever wish to market a book then make sure to purchase this audio title. Goes step by step in teaching you how to market a book if you are a first time publisher. That may seem discouraging, but it’s actually encouraging to me. When marketing mentors talk about how easy it is, just follow such-and-such exact formula, all I can think is, “Maybe that worked for you. Maybe it works if you’re already well known!” I’m pretty leery of formulas and big promises anyway. But when a big name reminds me that we all start at 0, it really takes the pressure off! 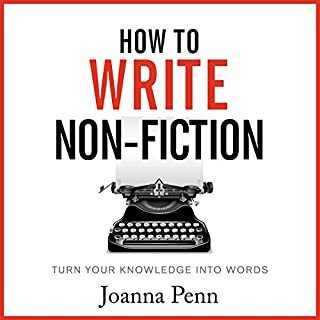 As someone who is in the process of learning about publishing, having just finished my first book, this audiobook has been so useful. It's been accompanying me for the last few days, and has got me thinking about how I'm going to sell my book when I get it back from the editor. This is one of those audiobooks that is going to stay downloaded on my phone because I know I'll listen again. I suspect many authors are overwhelmed by the multiple channels available to market their book. I certainly am. Do we write blogs, run Facebook or Bookbub ads, speak at events, or pay for twitter promotions among many options? It’s so hard to choose, particularly when you are new to writing and marketing. Of key importance is to think about where your ideal reader hangs out and to develop targeted marketing tactics. Joanna addresses the fundamentals of successful marketing in this book – starting first with what’s our ‘Why’ for writing a book. She highlights the value of building our personal brand and reassures us that the journey to get recognised is a marathon and not a sprint. While it will take a long time, it will happen if you invest the time and track our learning. And the time to start is now. Even if you have done nothing apart from finishing your book. I’m a relatively new author and have been experimenting with marketing tactics including blogs on LinkedIn and Medium, treasure hunt campaigns, emails to librarians, Amazon ads, twitter blasts and entry into competitions. The results have been disappointing and I know I need to post valuable content on ‘real estate’ I own, i.e. on my own website and capture the learning and ROI of each campaign if I am to understand what is working and what isn’t. While I may be disappointed by a short term spike in sales only it is important to continue to build my personal brand as this will support longer term sales success. Joanna has introduced me to the idea of making short videos and posting them on a regular basis on YouTube. They could be about your research process or a book trailer to support a book launch. She provides links to people who are doing this very effectively. There is great advice on using audio books as a product and how you can run promotions, competitions and giveaways with organisations like ACX who give out 25 free codes. Personal declaration here – I was the grateful recipient of one of these for this book. Joanna reveals that audio books are one of the fastest growing market segments. My top personal takeaways from the book include; the need to build my personal platform and start engaging a ‘street team’; recognising that while you may not make as many sales as you would like from a campaign, you are planting seeds and building awareness, not worrying about where I am now and where to start. I’m going to try crowdfunding an animated version one of my children’s books that I wrote for my nephew who is on the autism spectrum. I’m also going to think creatively about merchandising products to support my books. Joanna is dedicated to service and a generosity to the community she serves. She has an 80/20 rule which reflects serving and posting content valuable to other authors 80% of time with 20% on promotion related to her products. This sense of abundance has been key to her success and a reason why she has so many super fans of which I am one. Joanna’s knowledge is available in eBooks, paperbacks and audible files. If you absorb her content though audio files, as I often do, ensure you have a pen and paper (or notebook) handy as she provides many valuable tips and references. (I have learnt not to listen late at night in bed as I have to keep turning on the light to jot down a new idea or reference). If you want to learn more about successfully marketing your book then this one is an easy buy decision.